Born to Jewish radical parents in Chicago in 1939, Judy Cohen grew up to be Judy Chicago—one of the most daring and controversial artists of her generation. Her works, once disparaged and misunderstood by the critics, have become icons of the feminist movement, earning her a place among the most influential artists of her time. Chicago revolutionized the way we view art made by and for women and fundamentally changed our understanding of women’s contributions to art and to society. Influential and bold, The Dinner Party has become a cultural monument. Becoming Judy Chicago tells the story of a great artist, a leader of the women’s movement, a tireless crusader for equal rights, and a complicated, vital woman who dared to express her own sexuality in her art and demand recognition from a male-dominated culture. 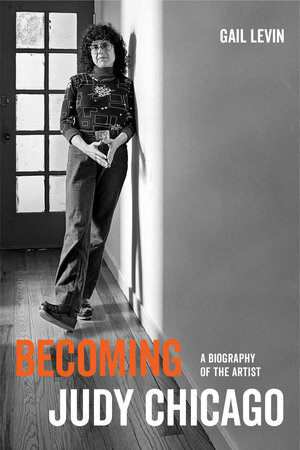 Gail Levin is a biographer, art historian, and curator of landmark exhibitions. She is Distinguished Professor of Art History, American Studies, and Women's Studies at the City University of New York. She is the author of many books, including Edward Hopper: A Catalogue Raisonné, Edward Hopper: An Intimate Biography, Lee Krasner: A Biography, and Theresa Bernstein: A Century in Art.